A high quality 2-way music speaker for indoor or outdoor use. 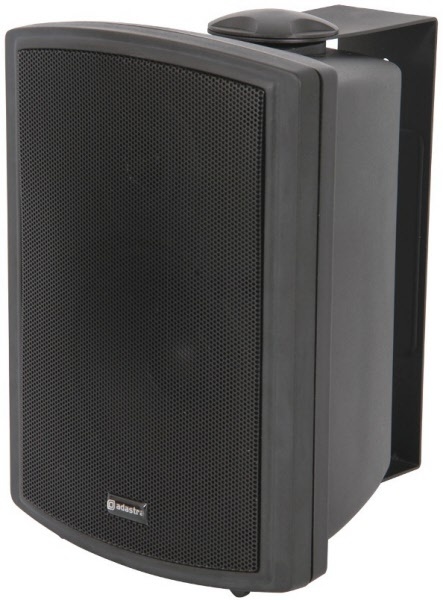 Weatherproof speaker and cabinet allows for installation in most applications. These cabinets are ideal for outdoor events including swimming pools, beer gardens, patios and marine or boat use. They are water resistant to IP35 and UV protected to ASTM D4329 standard. The strong moulded cabinet with metal speaker grill contains a high quality full response 5¼" driver, ½" dome tweeter and integral crossover network. The cabinets are fitted with 100 volt line matching transformers, they can also be used as 8Ω cabinets. A rotary switch to select transformer tapping, binding posts and indoor/outdoor equalisation switch is located in a weatherproof compartment at the rear of the cabinet.